Isn’t it tempting when your smartwatch or Smartphone throbs to inform you about the latest notifications? It often urges you to clandestinely glance at your wrist or flip the phone cover to check what’s happening. Whenever our Smart device lets us know about the latest buzz or keeps us updated on the daily nothings we feel satisfied. However, the truth is that looking at your wrist quite often gives others around you the feeling that you’re bored, and the constant notifications on your mobile device can sometimes be intrusive. Even worse is when your gadget makes you succumb to the thought of ‘who this could be’. Although this habit of constantly checking your device might seem harmless, it’s not that safe when you are driving. Apple watch owners, who check the watch for navigation while driving, generally get into the habit of squinting at it without any reason. Apple is known for its constant thrives to create and present something new to its loyal customers. Once again the mega-tech company has come up with a new prospect to help reduce this habit of squinting at the watches while driving. 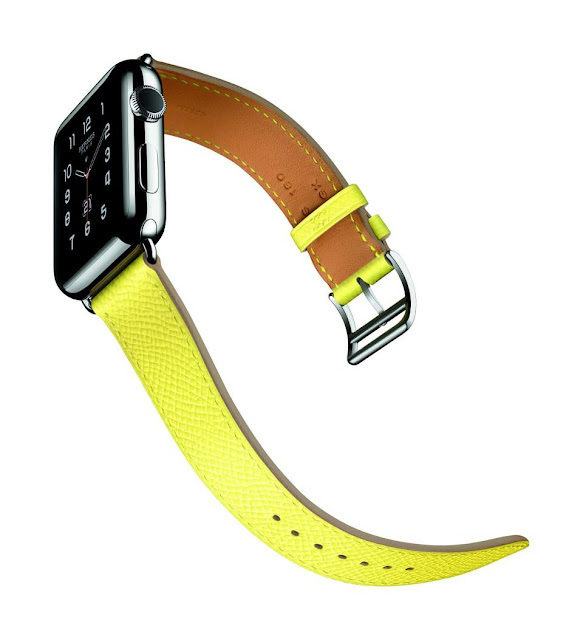 The new Apple Patent will know when the watch owner is driving, and will temper the behavior. Parker Wilhelm from Tech Radar recently in an interview mentioned about the several advantages of Patent. One of the biggest plus points is that it will automatically discern when you are driving. The Watch will automatically adjust and will turn off its raise-to-wake feature. Due to this new feature you will not be mesmerized to look at the watch every time your wheel takes a right turn, say. Another added advantage of Patent is that it will only pass the important notifications. So that, you because of this new feature you don’t miss an emergency call, but Facebook and Instagram notification will not bother you. To keep you from looking at the watch constantly, some of the information or notification would be directed elsewhere. The information would be projected either in vehicle speaker, or heads up display, or dash. This way you would not be puzzled by the constant wrist vibrations, and you would also receive the all the notifications. The feature would simply direct the calls to the speaker, or you would be able to see the navigation on the car’s display. Other modifications include snubbing recognized gestures. The gestures would be disabled and due to this the person driving would not be confused by the vibrations or steering movements of the vehicle chassis. The steering focus will be controlled meaning, that the driver would not find the watch behaving differently all of a sudden. While some have pointed out that active gestures might confuse the driver, the truth is that unless you’re practicing Zumba on a speeding bus, you’ll probably not feel puzzled. Another feature which is going to available on the Apple watches in a few days is the Theatre mode. This mode will make the display less responsive and will not disturb the audience. Have you just landed your dream job working from home? Whether you’ve been given the green light to work remote in your current position or have landed a new gig altogether, working from home can be very alluring. Follow these recommendations from the professionals to ensure your remote position is a success. The thought of forgoing the morning commute and working in your sweatpants is no doubt very appealing. Keep these points in mind before taking the plunge. Working from home requires a huge amount of self-discipline. Can you work to your maximum productivity levels without supervision? One of the best ways to set yourself up for success is to create a work environment that is as free of distractions as possible and maintain a consistent work schedule. These are the two key elements of successfully working from home. Designate an area in your home for your home office. Take advantage of the awesome deals offered by Groupon coupons and select one of the many desks available at Pier 1 that are appropriate for residential use. If you’re fortunate enough to have a spare bedroom to set up as a home office, you’ve won half the battle. The advantages of a separate room for a home office are many. It will have fewer distractions and you’ll be able to close the door at the end of the work day and make an easier transition to your private life. Otherwise, designate another area in your home for the home office. Avoid the temptation to comingle home finance papers, children’s school work and family activity planning from your professional work space. Finally, commit to starting your work day at the same time each day and wrapping up at a consistent time. You will be more productive if you cease work at the end of the day and engage in work life balance. Stay in contact with your office coworkers by visiting the office or staying in touch via email or conference calls. Best of luck to you on your new work from home career. Tech lovers, who are enthusiastic of using iPhone, perhaps always wait for the release of new handsets of Apple. So, when Apple has recently launched Red version of iPhone 7, everyone becomes excited to have an experience of using the stylish model. Apple has started a campaign with the name- Product Red, and it has comprised all its red colored accessories, including iPods and headphones. 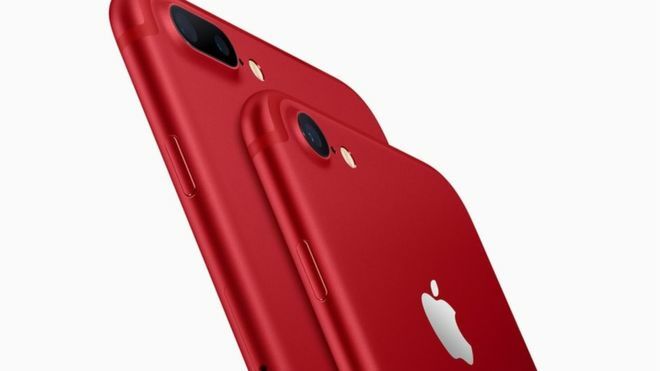 The company has planned to sell Red iphone 7 with its red color in order to back up RED- an AIDS or HIV charitable trust. This campaign of Apple will surely increase awareness of people internationally and produce more funds because each of the deals is to be counted as donation to the stated organization. A specific part of every red colored gadget, sold in the market, will help in funding a group that is working hard for struggling against the serious disease, mainly in Africa. 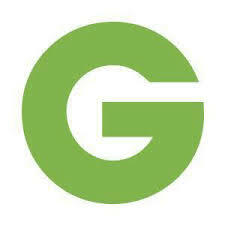 This affiliation has recently led to the contribution of one hundred thirty million dollar. CEO of Apple has said that Apple is now the major corporate supporter to their fund. The latest edition of Apple Red iPhone is intended to be made available in more than forty nations of this world. However, the most interesting fact is that the handset is not presented in China as red edition by promoting the charity. It is known to all that China has a high possibility to make large number of sales. But, still, the Red iPhone edition has not been promoted there. The perceptive online users have made out that the marketing strategy, used by Apple for the new version, in China and Taiwan is not same. If you look at Apple’s website, intended for Chinese citizens, you may see that iPhone 7 has no mentioning of the charity RED. Rather, it reveals some other information, such as, time and date for launching the model. You should not think it to be a mistake of Apple. AIDS and HIV are one of the complicated issues in the country of China. Some agencies have also raised a warning about the threatening AIDS problem of China. Though a significant amount of advancement has been seen among young generation, government strategies have not been able to prevent the increase of this grave syndrome among homosexual guys in the country. So, it has been guessed that Apple has considered AIDS to be a very sensitive subject to Chinese iPhone users. There is another presumption behind of avoidance of Red branding in the nation of China. A media has claimed that the iPhone manufacturer has understated its relation with RED, after posting Dalai Lama’s image on a social networking site. China thinks this personality to be a separatist. Though there is no proof to confirm such reason, many Chinese people have criticized Apple’s campaign due to their step for wishing birth anniversary to Dalai Lama. All iPhones tends to connect to Internet at any location where a 3G or 4G signal is available though most of the iPads require Wi-Fi to be online. Though some iPad seem to have 3G and 4G connection, they tend to cost more and are not the common device resulting in the iPhone users usually getting online in areas iPad users seem to get stuck offline. There seems an option here for iPad owners and if an iPhone is in the vicinity, only Wi-Fi iPads could get online by utilising a technology known as tethering. You can connect an iPad to an iPhone or Android device with a few taps and turn it into a portable Wi-Fi hotspot.If the user is aware on selecting a Wi-Fi network on the iPad then he is capable of turning the iPhone into a hotspot due to Instant Hotspot feature which Apple has included with the release of iOS 8. However one needs to open the app’s `Setting’ on the iPad, select the Wi-Fi and pick the iPhone for the networks which are made available on the list. 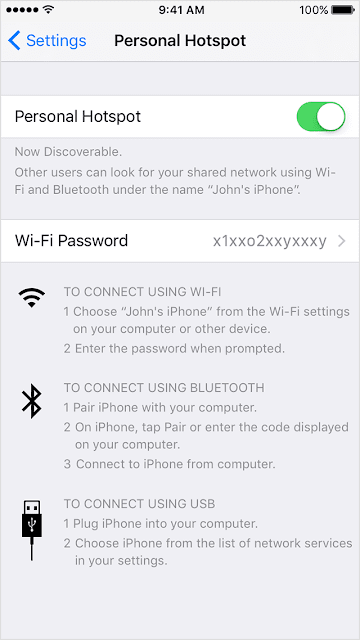 If the available network is not displayed on the iPhone, one should make sure that Wi-Fi as well as Bluetooth are enabled and that the same iCloud account is utilised on both devices. For the first time, the user will have to set up Personal Hotspot on the iPhone by going to Settings > Cellular > Dry Up Personal Hotspot and then follow the prompts. To enable the hotspot feature on Android device, the procedure may differ owing to the customizations that are made by the producers. The hotspot feature of the device can be set up on opening Settings and utilising the search bar in order to locate `hotspot’.On giving a name for the network together with a password, you can open the Settings app on the iPad and select the network by going to Wi-Fi. On completion, the hotspot on the Android device can be turned off and your iPad will tend to get disconnected automatically. Thereafter one will only require enabling the features of the hotspot on the Android device and your iPad will remember the network and get automatically connected. It is a good idea in creating a unique network name together with a password for the purpose of keeping your data secured irrespective of the device one intends using as a hotspot. At some point or the other we often come across some experience of losing our data on our computers due to various reasons. But when an occasion of such an event takes place there is an option of data recovery to get hold of your important data from being lost. MS Word documents presently are being saved in an open XML based DOCX setup. It is said to be a consistent as well as a perfect file signature that can be selected by Deep Scan. Earlier MS Word document file were recognized by .DOC extension and assisted by Deep Scan binary reconstruction technique of Disk Drill.You could get hold of Disk Drill PRO file recovery software for mac OS X which provides many options of scanning and recovering deleted files one of which is Deep Scan.For more input visit the official website. It is one the most all-inclusive scan one could perform on the internal hard drive or external storage device of Mac. You could download Disk Drill Basic and install it on your Mac and get some insight in recovering Word documents. Disk Drill is said to be an amazing free Word file recovery app on Mac with numerous options under a significant`Recover’ button and in several instances, tends to do a great job. It is a known fact that loss of data can occur at any point of time but it is onlya matter of time when it could take place to any user. Word documents may be stored on an external drive on the system SSD wherein there could be several instances where the files could be lost. One may mistakenly delete or tend to overwrite Word files, which may be required. The USB drive could be modified or formatted through error or due to a hardware problem. The MS Office Auto Recovery feature does not seem to be dependable in recovering unsaved documents and pressing`Save’ regularly may not be the resolution. What could be the solution for word document recovery on mac? Based on where the lost Word document has been stored, one could check at the system – local Mac drive or the external disk or an accessible location to Disk Drill. 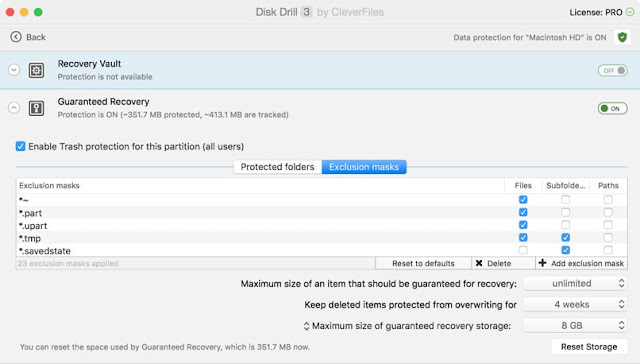 Opt for the partition where the lost files had been and click the `Recover’ button in Disk Drill. Users could also navigate to Preferences of Disk Drill, disabling searching for any other file formats then Documents >DOC & DOCX (Microsoft Word Documents) for recovering lost documents which could reduce the time needed in scanning. Once the data has been scanned, you will get a list of found items which have been considered recoverable by Disk Drill from the target drive. When the files have been found, it could be marked for recovery and then you could opt for the `Recover’ button, choosing the location where the Word document that is recovered should be copied. The best option is to copy on a different drive than the one it has been scanned. Recovery of the word document on Mac tends to take a few seconds and your valuable files or thesis or important documents are once again restored.